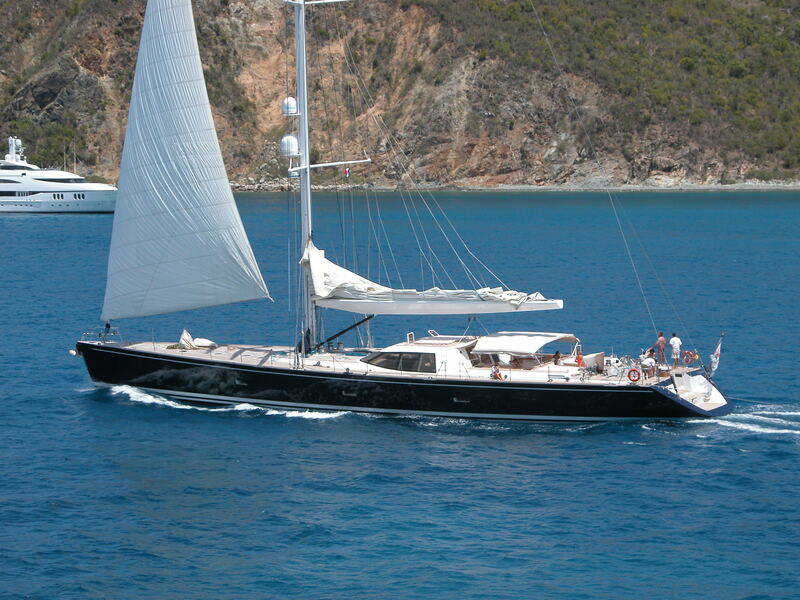 Luxury Sailing Yacht VAIMITI was built in 2003 by Jacques & Nicolas Fauroux. 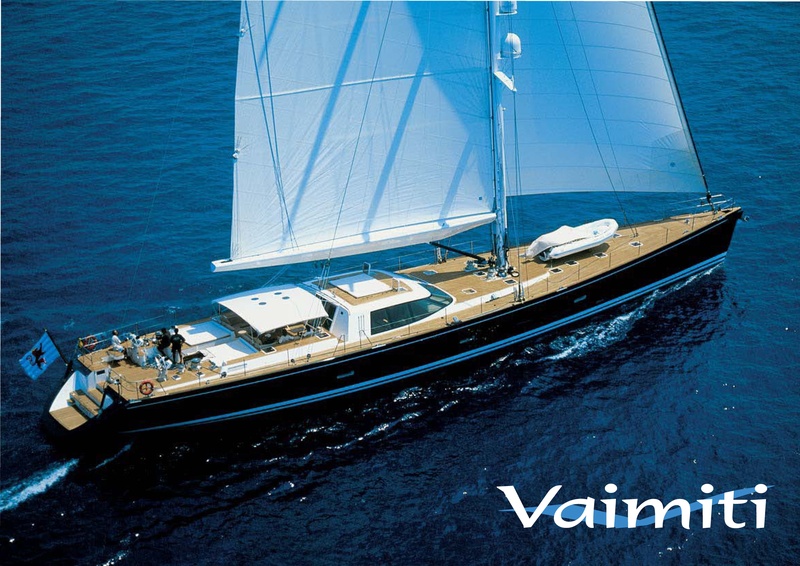 Luxury Sailing Yacht VAIMITI was built by Tréhard Marine in 2003 and designed by naval architect Jacques & Nicolas Fauroux whose group is also responsible for her entire engineering works. 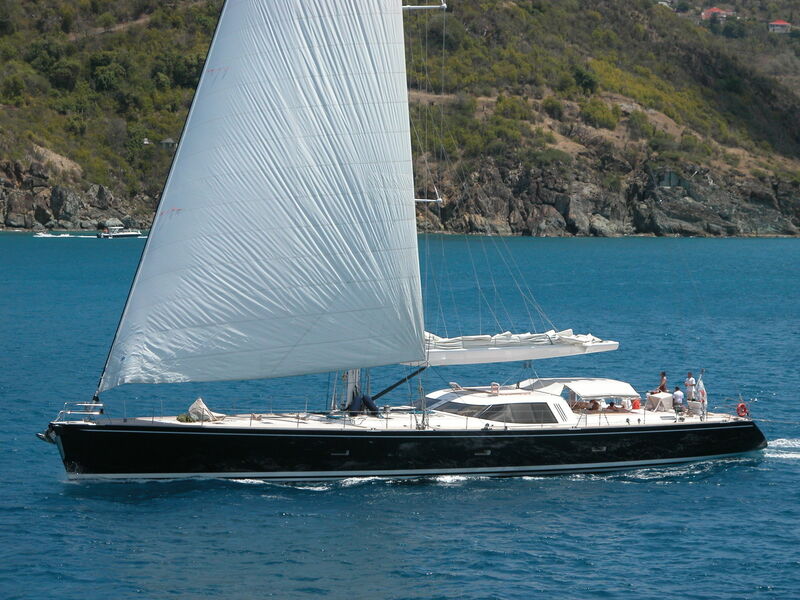 Her sophisticated design combines high standards of luxury with maximum sailing performance. 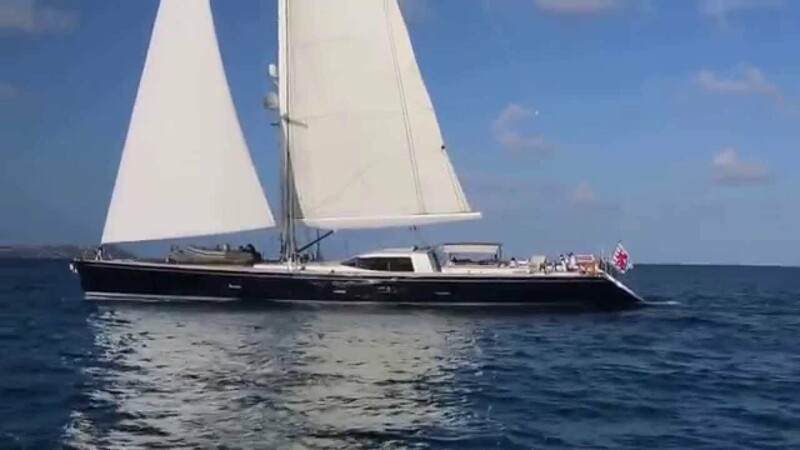 At 130ft (39,6m), with an Aluminium hull and superstructure, she is easy to handle and all sails can be hydraulically controlled from the helmsman's steering station. 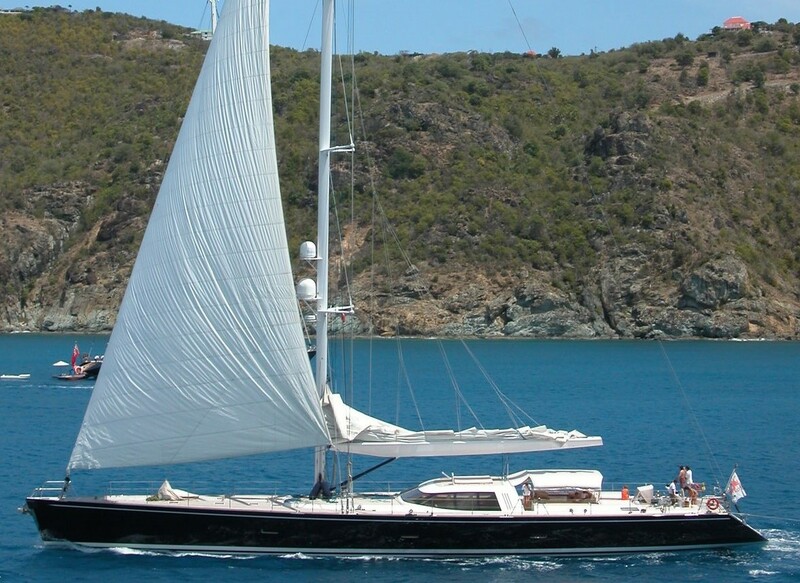 Two keels and a ballast tanks system guarantee stability and her shallow draft is ideal for getting close into the best anchorages. 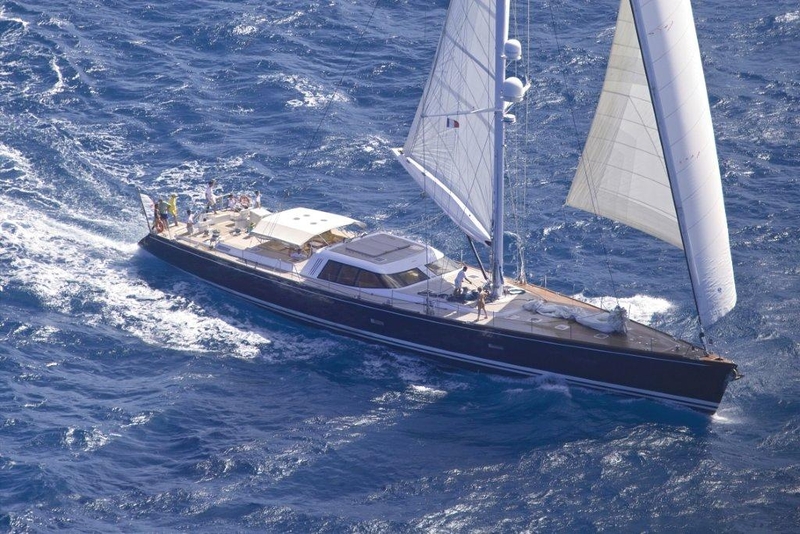 VAIMITI has had a full rigging refit by Navtec in 2012, followed by another extensive refit in 2015/2016. 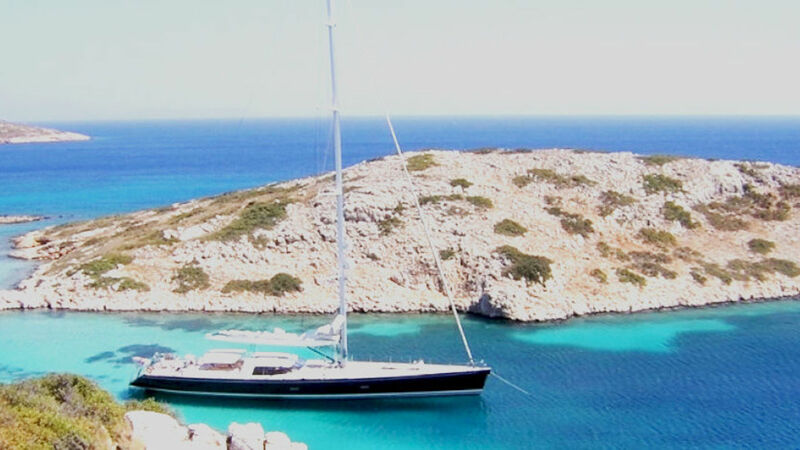 This luxury sailing yacht accommodates 8 + 2 guests and is capable of carrying up to 5 crew. 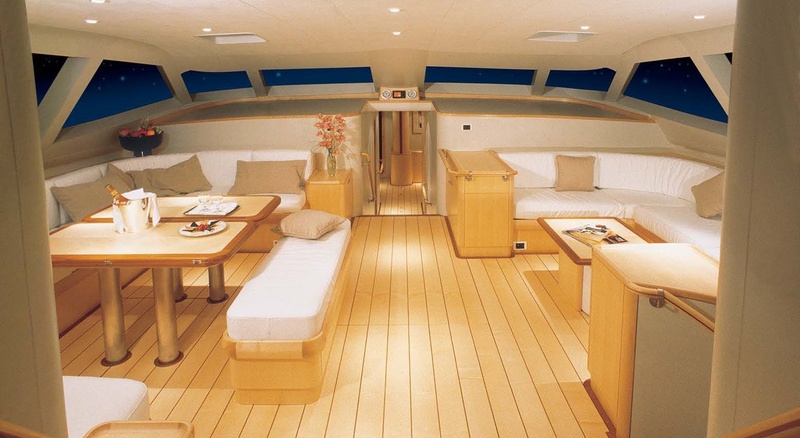 VAIMITI's NOTABLE FEATURES: ~ Refined Interior Design with A/C ~ Good list of toys such as water-skis, wakeboard, 2 one-man kayaks, scuba diving (rendez-vous diving only), snorkelling equipment ~ A well-established charter yacht. 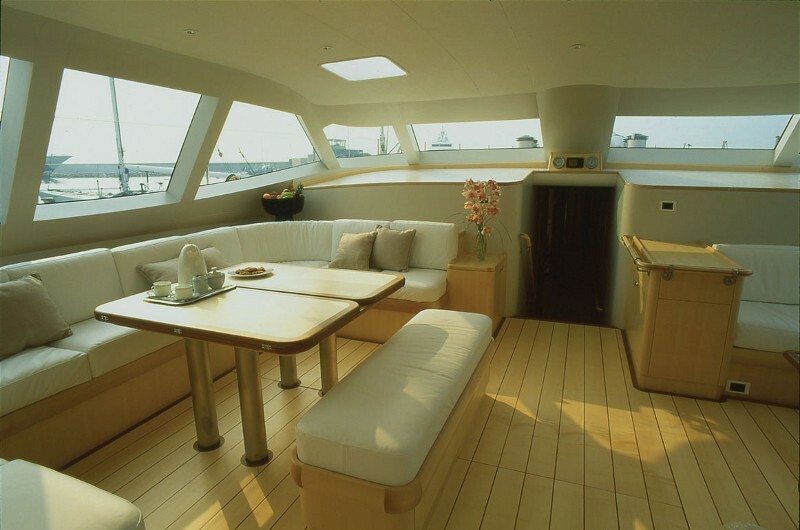 VAIMITI boasts a modern and spacious interior. 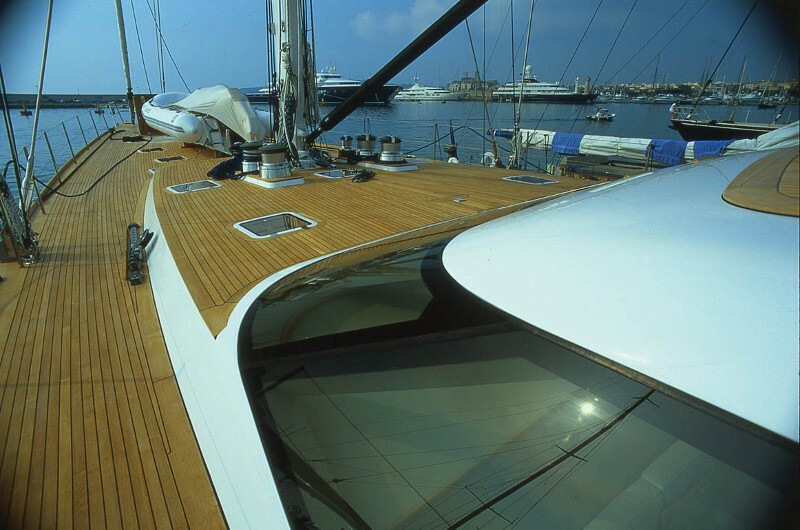 Light maple wood is highlighted by natural light through the deck salons panoramic windows. 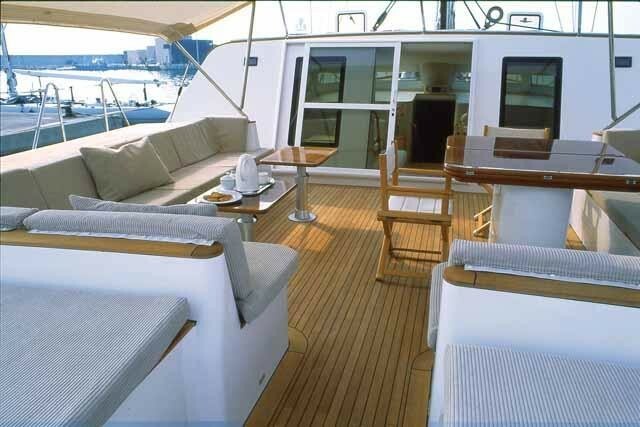 Guests can relax in air-conditioned comfort in the deck salon or outside in the spacious and comfortable open-air cockpit that is protected from the sun by a bimini awning. 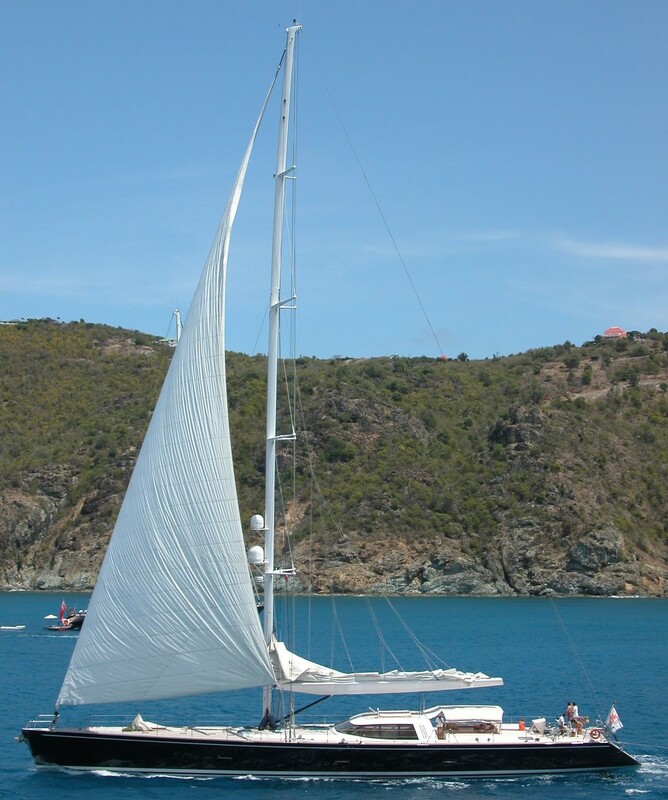 The stern stairway and swimming platform allow easy access to the sea for snorkeling, swimming, water sports and embarking the yacht's tender. 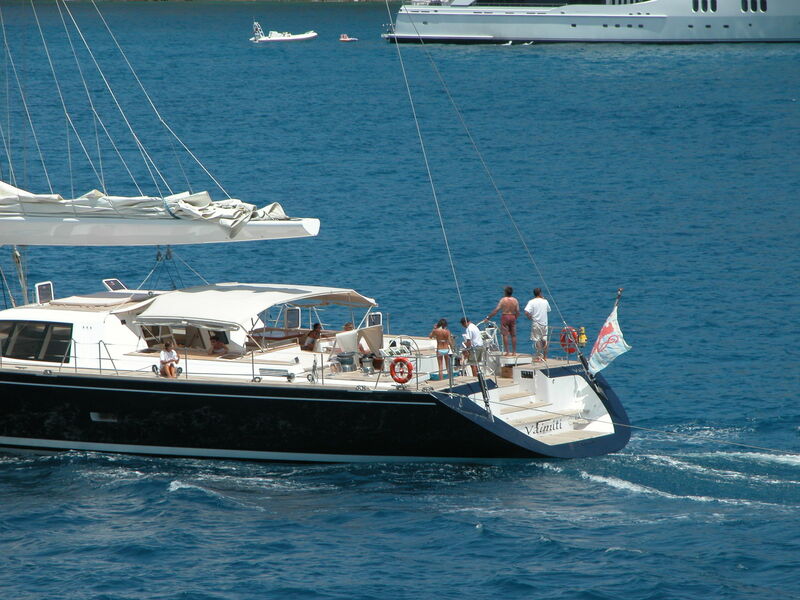 Installed with a sole MAN diesel main engines, VAIMITI can attain a high speed of 13 knots. 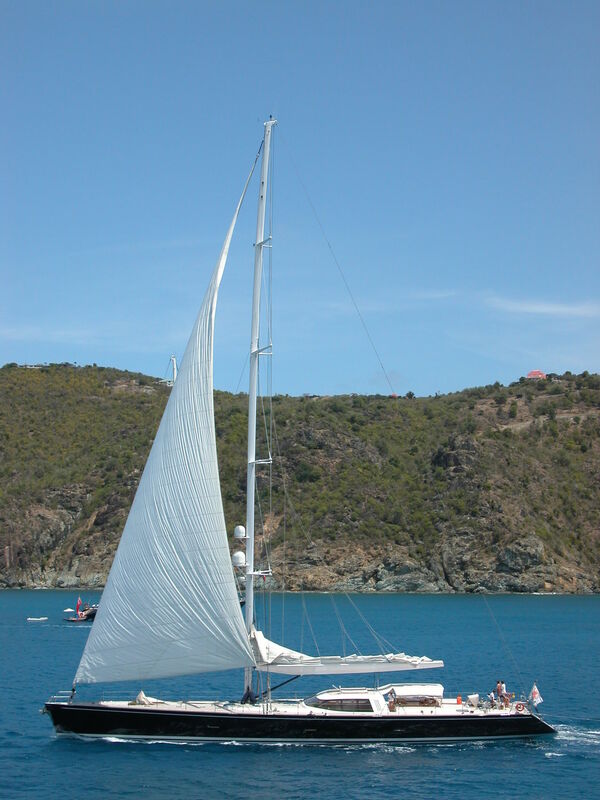 Connected to her MAN engine(s) are a single screw propeller. Her total HP is 500 HP and her total Kilowatts are 368. 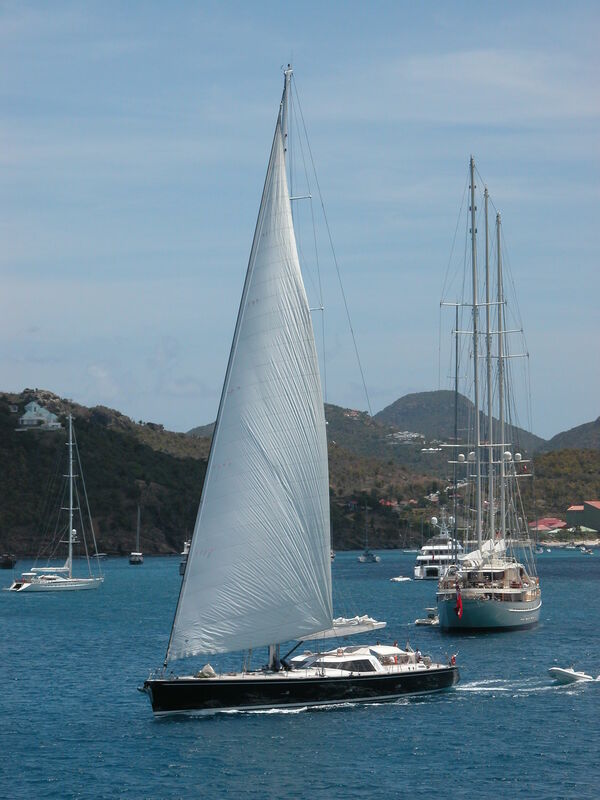 For bow thruster maneuverability she was fitted with / Stern. 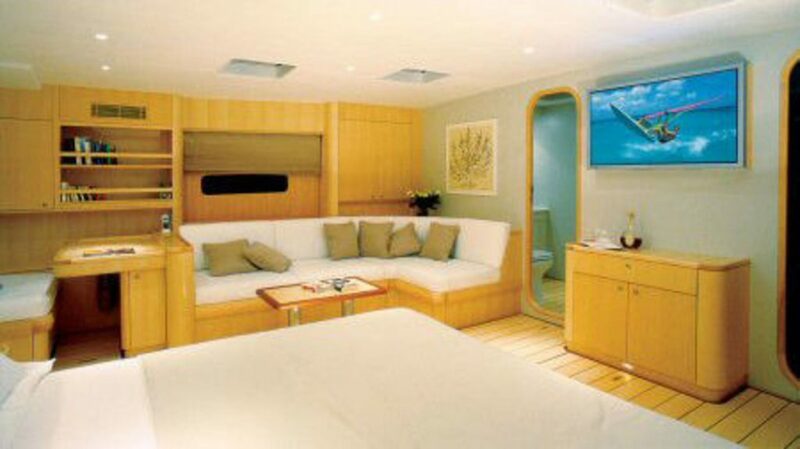 She offers comfortable accommodation for eight guests in four spacious cabins each equipped with LCD TV screens, video and music players and boasting their own private ensuite bathrooms. 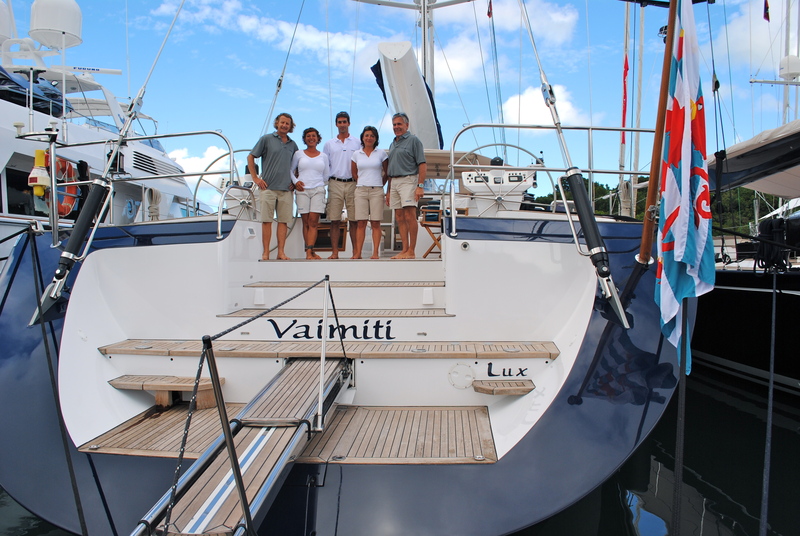 VAIMITI runs with five professional crew including an excellent chef. 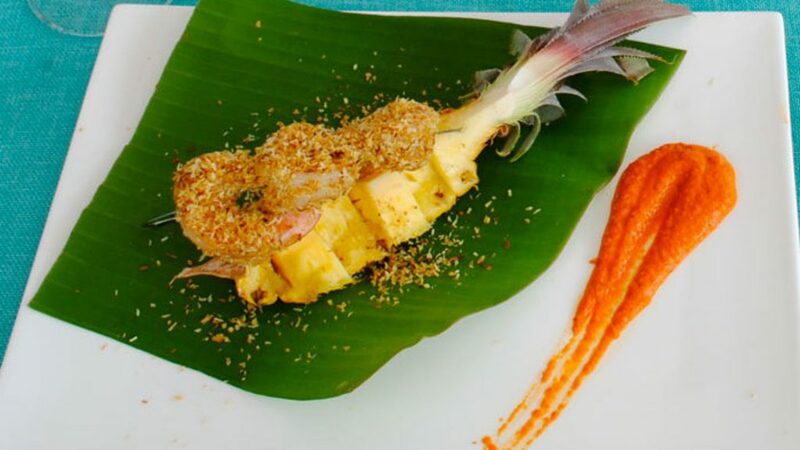 The cuisine on board VAIMITI is an integral part of the experience on your Caribbean or Mediterranean charter. 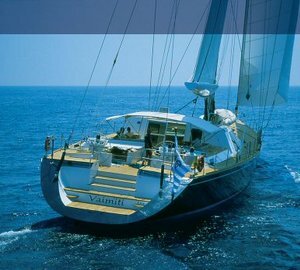 Mediterranean & Caribbean luxury performance sailing yacht VAIMITI offers comfortable and stylish accommodation for 8 charter guests in 4 cabins. 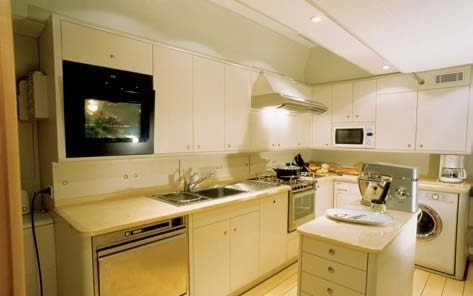 She is capable accommodating extra children with the use of pullman berths. 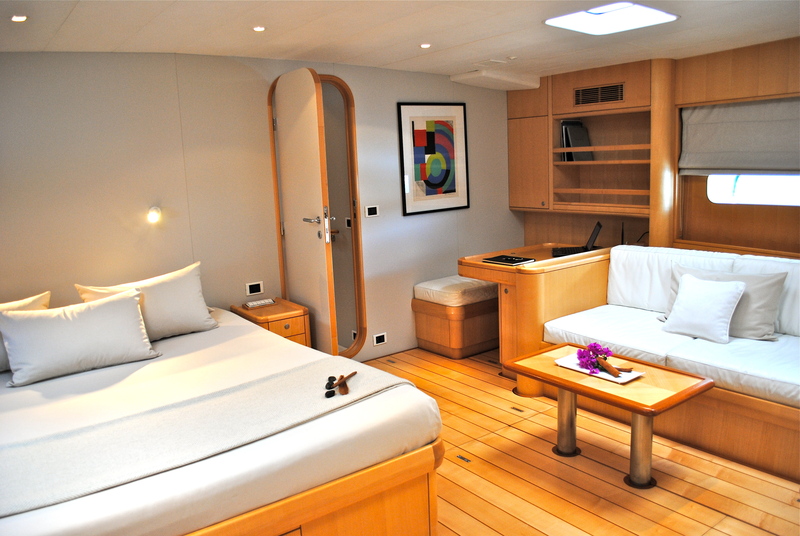 The master cabin boasts a king size bed, his and hers en suite bathrooms with a shower and head in each. 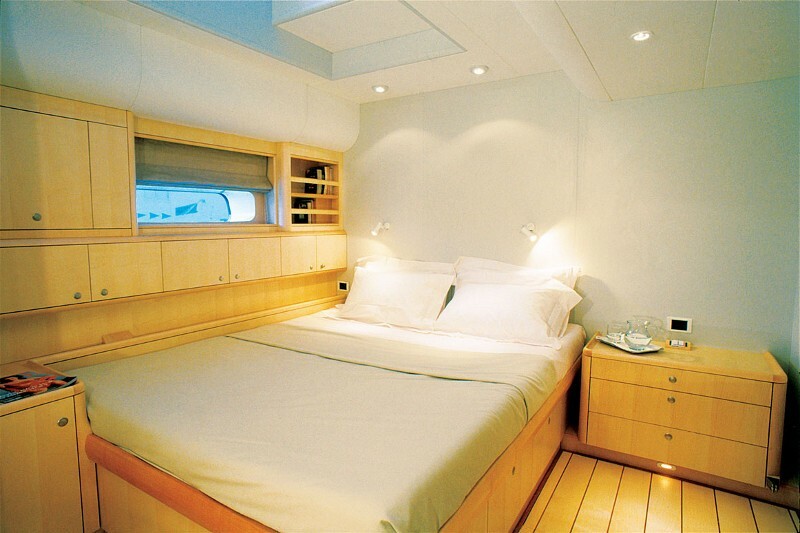 This cabin is extremely comfortable, with full beam width. 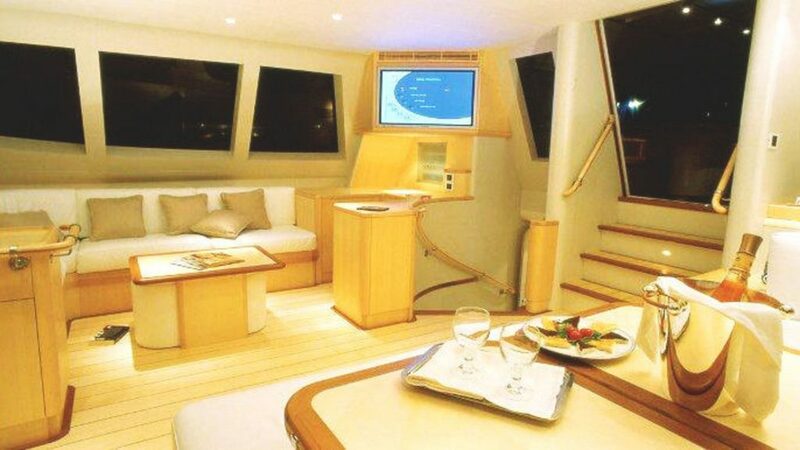 It has a sofa, a writing desk, an L-shape settee and a large LCD screen. 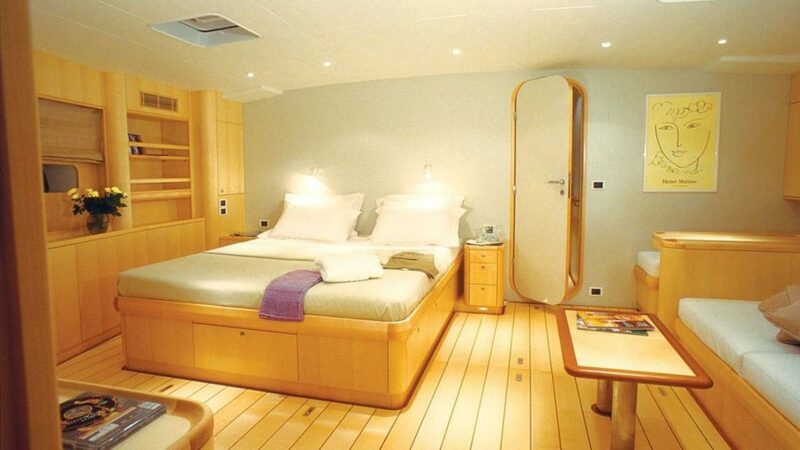 The VIP guest cabin has a king size bed, as well as an en suite bathroom with a shower and head. 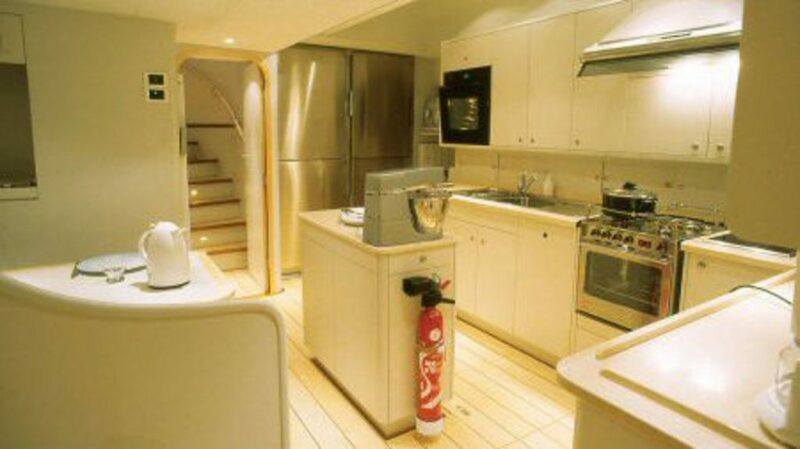 Two guest cabins comprise twin beds, pullmans, and en suite bathrooms with showers and heads too. 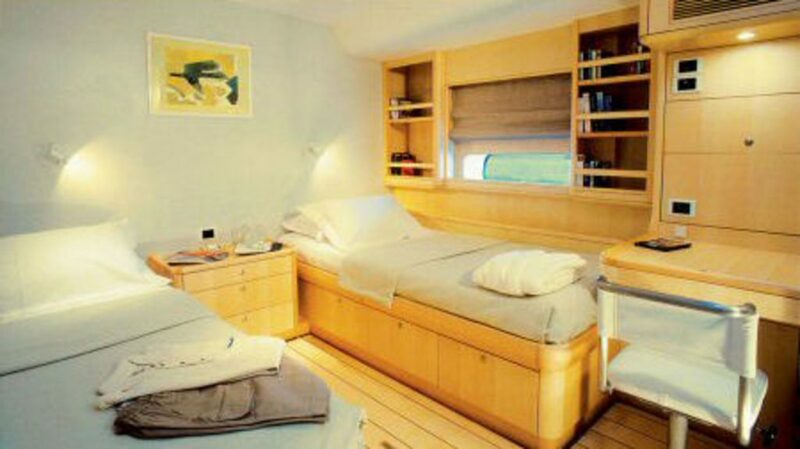 All guest cabins are equipped with LCD screens, DVD and music systems. 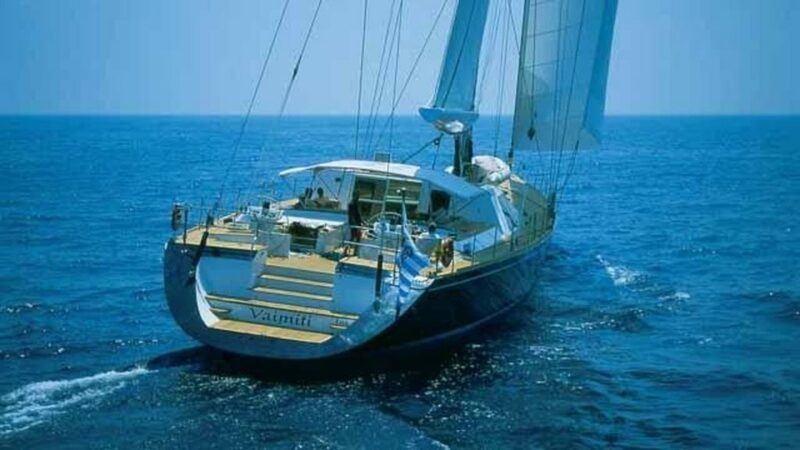 Mediterranean & Caribbean luxury performance sailing yacht VAIMITI provides the following amenities and extras: Entertainment: Sat TV, LCD screens with video and music systems in all guest cabins, DVD and CD library, stereo system. Ipod dock, Satellite phone, Wi-Fi. 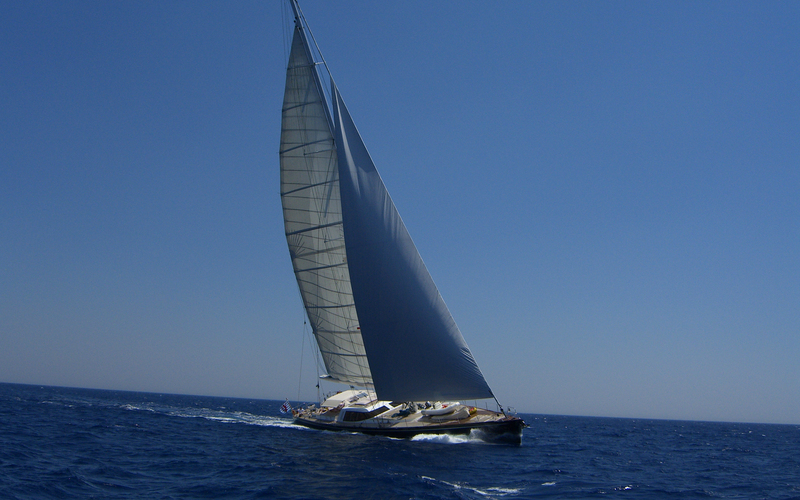 Communication: Satcom, fax, internet, email. 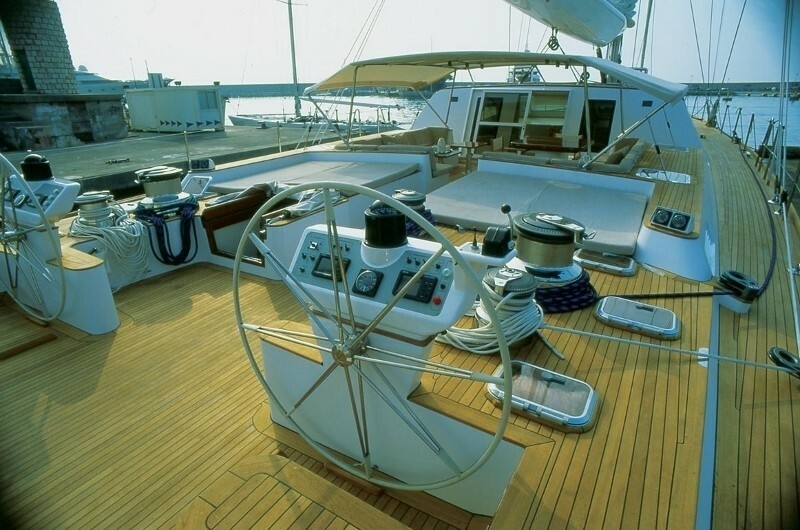 Tender & toys: 16' Zodiac tender with a 75 hp engine, water-skis, wakeboard, 2 one-man kayaks, scuba diving (rendez-vous diving only), snorkelling equipment. Other facilities: Air conditioning.